Chennai city got badly disturbed due to the Monsoon having floods across the city. Most of the people got stranded in their homes / apartments / flats etc. Electricity was fluctuating.. Rains disconnected the telephone lines and television cables newspapers the only source to know about the updates turned back life to olden ages. Suddenly heard a sms notification tone from my mobile and intended to read it. My bank sent me a sms notification that a big X amount credited in my account. Surprised as I have no such X amount in my inward ques. Shared the surprise with my wife. She immediately replied since it was unexpected amount, let’s buy gold which will be a savings. Checked the Gold price column on the newspaper. It was 192 rupees lesser than the previous day. Wife urged me to buy the same day as it was a Wednesday having nothing to do at home. We thought of the traditional gold purchase method and decided to a renowned Gold shop in the city. A big canal was dug in front of my apartment and my location is totally flooded and disconnected too. No transportation facilities. Walked for about one and half kilometers and reached a bus station. Got seats and took tickets too. The bus sailed through the traffic and it was also drizzling out. Suddenly the volume of traffic was seen huge and our bus got struck at a junction. We waited for more than an hour. No signs of the bus to move from there. When checked with the bus conductor he replied that due to some water lag on a flyover, slow movement of vehicles reported. Lost patience of sitting in the idle bus. Decided to get down and look for alternate options to reach our destination. Few suggested lets walk back to a nearby local train station and take a train which will reach faster. Thought of using the GMaps to dig out whether there is any other option left. It located my current location and I typed my destination ie the jewelry shop name. It showed a couple of ways also the traffic alert showed red. And in the alternate suggestions it was showing me the names of Jewelers shops which sells online too. Stylori was the name that was on top. Before clicking on that… checked for the reviews about that site on google. To my surprise review from one of a known blogger was listed in the first page of google search results. After reading the review got more confidence to make my purchase online with Stylori. I’m fine. But will my wife agree? Not sure how far she is comfortable is buying things online as knowing her well where her happiness is. Yes it’s in the complimentary purse which they give more than then the jewel she buys. All these where happening standing in the midst of a busiest junction and it was raining. Time to take the call. Whether to proceed further to the jewelry we decided to buy or to buy it online. I explained to my wife that it’s getting darker. The only option now is to go and come back by train. As we both of us never traveled by train questioned her the safety which played the card. With hard mind she said will return back home and think of some other day. Booked a cab and returned back home. While coming back I was telling about the styori – the online division of NAC Jewelers. “ Peyar ondre pothumanathu” concept worked. Again she was half minded about the quality and designs of jewels. Reached back home. Finished dinner. Me and wife started surfing about Stylori from the mobile as our broad band was not working due rains. Stylori – The internet startup of NAC Jewelers Pvt Ltd founded by the third generation Mr.N.Anandha Ramanujan of Nathella Anjaneyulu Chetty family. Also Mr.N.Anandha Ramanujan is a qualified gemologist from the famed GIA. His experience helped in sourcing, designing and procuring high quality jewelry. After being satisfied by reading this proceeded further to see the Jewels. Quite tempted with their wide collections such as Monsoon, Banquet of Love, Ovalo and Corcuilis Collections of various jewels. No doubt that Stylori has a huge collection of Modern jewelry crafted from certified metals, diamonds and gemstones. Wife felt quite difficult to choose one as she started loving all the ornaments. Finally chose one according to our budget and finished the shopping! Stylori.com is the ultimate online jewellery store for everyday fashion jewellery. At Stylori you’ll find modern jewellery crafted from certified metals, diamonds and gemstones at affordable prices, presented in a convenient online shopping. 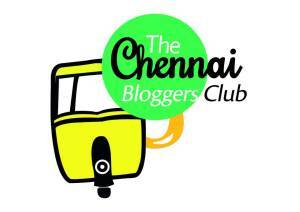 This post is purely fictional, created for the Stylori contest, organized by The Chennai Bloggers Club and Stylori.